LeghornGroup srl offers the supply of products, systems and services for security. Their solutions begin with a specialist consultation for design, development and production of a product or complete solution, that can meet the individual needs of each client. LeghornGroup works closely with their clients and provides a tailor-made security study to identify the most adapt solution or product to their requirements. 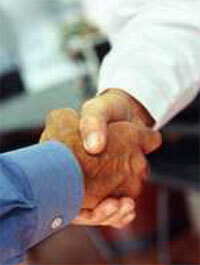 LeghornGroup srl is the ideal partner – offering both expertise in security and a supplier of off the shelf products. After a thorough analysis of the demands placed by the customer, LeghornGroup presents its technical-economical proposals making the most of the price / performance ratio. LeghornGroup’s creativity and ability to problem solve makes it a front runner and leader amongst the competitive world of security seal manufacturers not only in Europe, but worldwide. LeghornGroup’s competent team of staff which includes mechanical, electronics engineers and IT programmers have a vast understanding in the latest security solutions. Thanks to their modern production facilities LeghornGroup is able to directly intervene in the production process and even develop bespoke molding machinery to satisfy requests.